Surya Temple or Sun Temple is dedicated to Sun god and temple structure is inspired from the famous Konark Sun temple in Orissa. 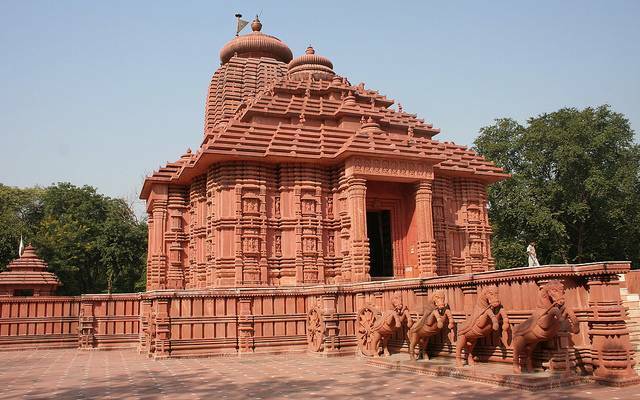 This Sun Temple was constructed by the famous industrialist G.D. Birla in 1988. The temple along with well maintained garden make this place very beautiful. It is a great architectural wonder along with beautiful idol of Lord Surya. Its exteriors are made with red sandstone whereas interiors with white marble makes this temple magnificent.